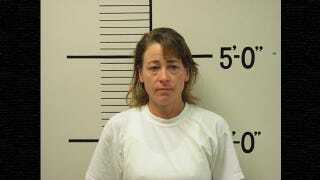 A 42-year-old woman from Butte, MT was arrested last Friday for ramming her boyfriend's car while driving drunk. She was naked at the time. The Montana Standard reports that the woman was pulled over leaving the scene of the crash. She attempted to run off through traffic, but was arrested and charged for drunk driving and two counts of disorderly conduct. No one was injured, but when you live in that specific city it's probably best not to make news while naked purely because people like us will run headlines like this.